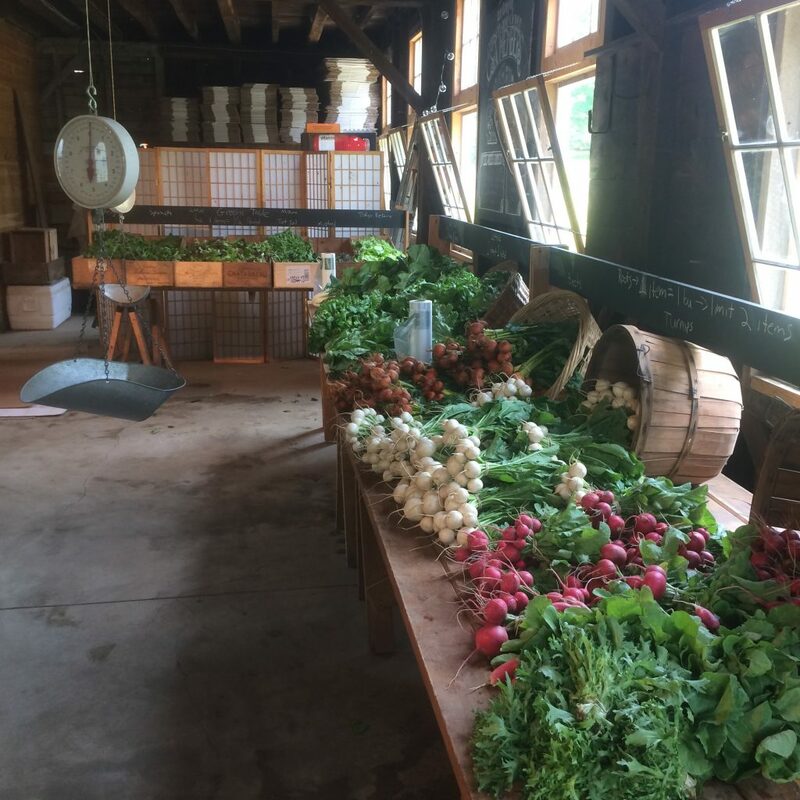 When you arrive at the farm each week on your share pick-up day, most of your share will have been harvested and washed for you before you arrive. In order to give you the most choice possible in your CSA share, we use the mix-or-match system for our CSA share distribution. Your vegetables will be displayed at a farmers market style stand and you will have the opportunity to choose a certain number of items each week from the available selection, depending on the share size you signed up for. Each week a regular share will have the choice of 9 items from a selection of 12-14 types of vegetables and a small share will have the choice of 6 items. You can choose the same vegetable for several of your items or choose 6 or 9 different vegetables, it is up to you. Some items might be limited week to week depending on the day’s harvest and availability to ensure every shareholder has the chance to select them. There will always be at least one farmer attending the CSA distribution to answer your questions about the food and the farm and to offer recipes ideas and suggestions. 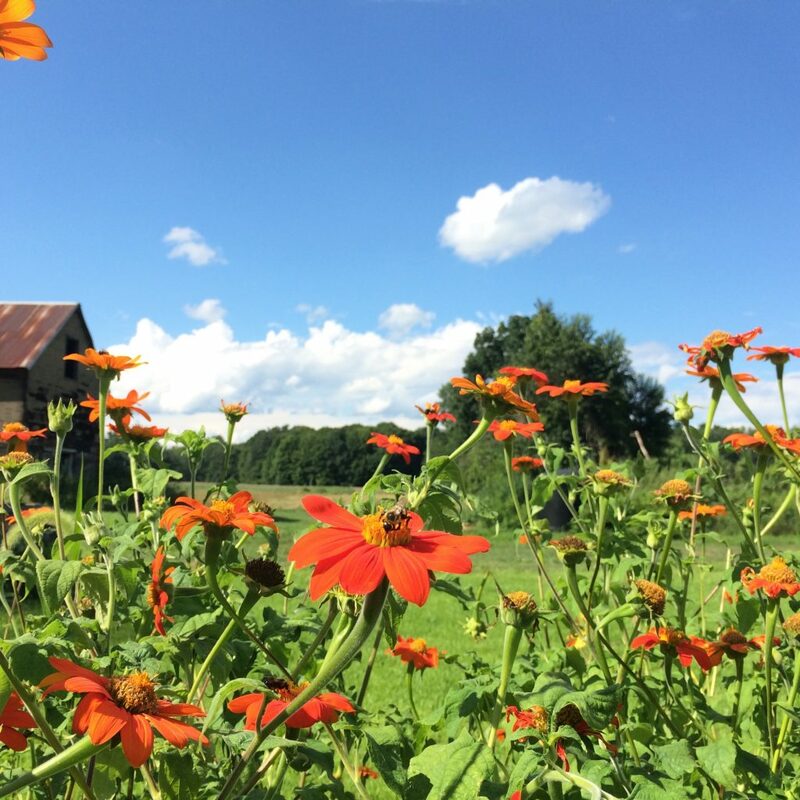 We also send out a weekly farm newsletter with updates on farm happenings, upcoming events and celebrations and recipe ideas. During share pick-up hours we also encourage farm members to hang out, picnic, talk to neighbors, talk to your farmers, play with your kids and enjoy this beautiful place. Most crops will have been harvested for you when you arrive on your share pick-up day. A few items, however, will only be available in our pick-your-own garden. 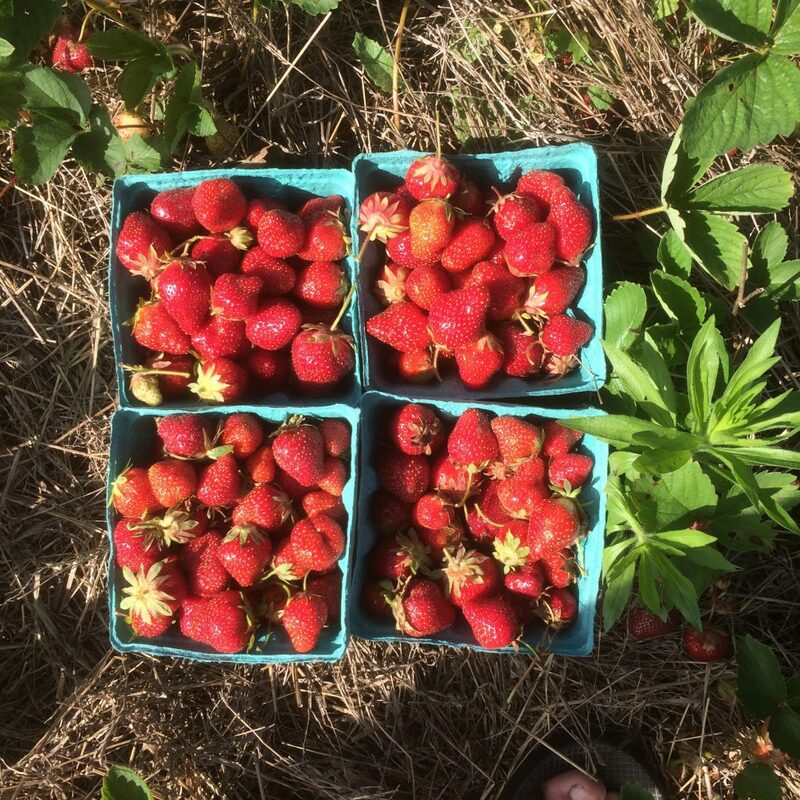 Pick-your-own items will likely include: cherry tomatoes, peas, beans, hot peppers, flowers, herbs and strawberries. We will provide signs and instructions for what to pick, how to pick, and how much to harvest each week. Eating with the seasons is a fun challenge. We hope that our mix-and-match system will send you home with exactly the vegetables you’re excited to cook with each week, though we will always challenge you to try something new. Our farm newsletters include recipes and any of us would love to talk to you anytime about our favorite way to prepare a specific vegetable. We farm because we love vegetables – growing them and cooking them – so we’re always happy to share recipes and share food! Arugula, Basil, Beans, Beets, Broccoli, Brussels Sprouts, Cabbage, Carrots, Cauliflower, Celeriac, Cilantro, Collards, Cucumbers, Dill, Eggplant, Fennel, Greens, Kale, Kohlrabi; Leeks, Lettuce, Muskmelons, Onions, Parsley, Parsnips, Peas, Hot peppers, sweet Peppers, Potato, Sweet Potato, Radishes, Radicchio, Rutabaga, Scallions, Shallots, Spinach, Summer Squash, Winter Squash, Swiss Chard, Tomatoes (slicing, paste, and cherry), Tomatillo, Salad Turnips, Turnips, and Watermelon. 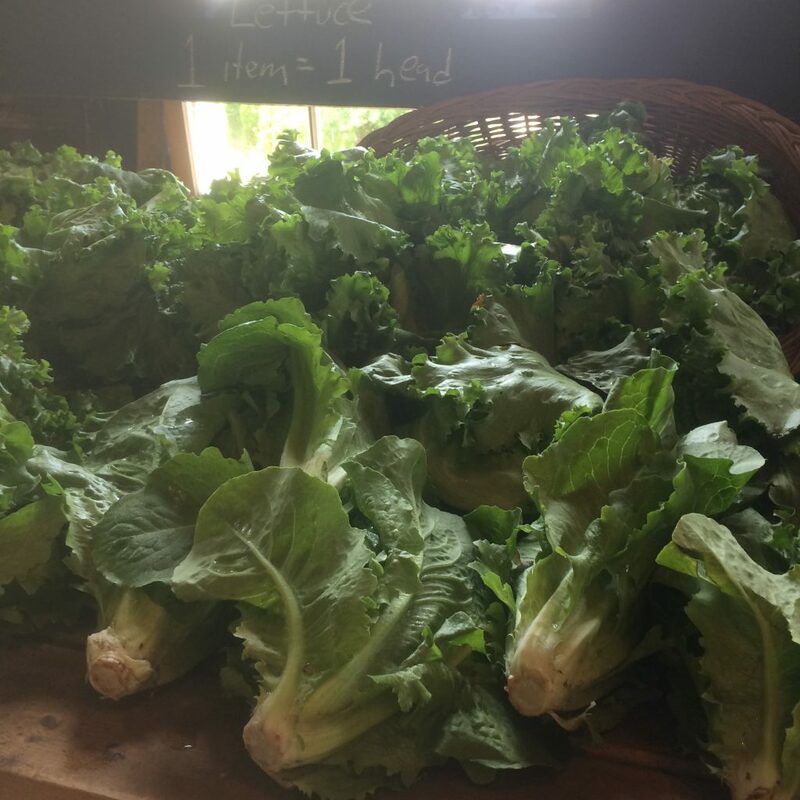 Availability will vary seasonally, with more greens in the spring, more fruiting crops like tomatoes, summer squash and eggplant in the summer and early fall, and roots and greens again in the fall. We will always do our best to offer a good selection and mix each week. We proudly lease farmland from Grow Food Northampton. GFN provides youth farm education, food access, agricultural advocacy, and affordable land to sustainable farmers.